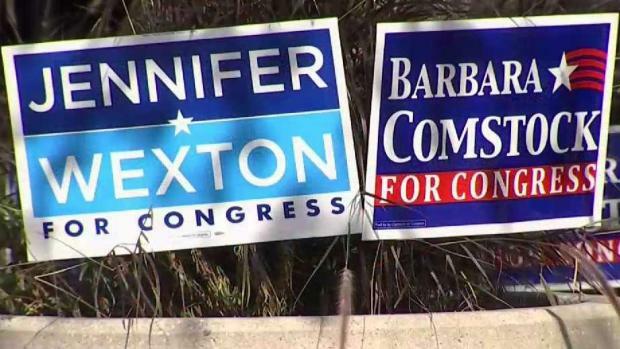 Three Virginia Democrats won U.S. House races against incumbent Republicans, including Virginia state Sen. Jennifer Wexton, whose race against U.S. Rep. Barbara Comstock in the 10th Congressional District was one of the most closely watched races from the area. Their victories helped determine the balance of power in the U.S. House. Comstock, who's served two terms, was long considered one of the most vulnerable incumbents in Congress. 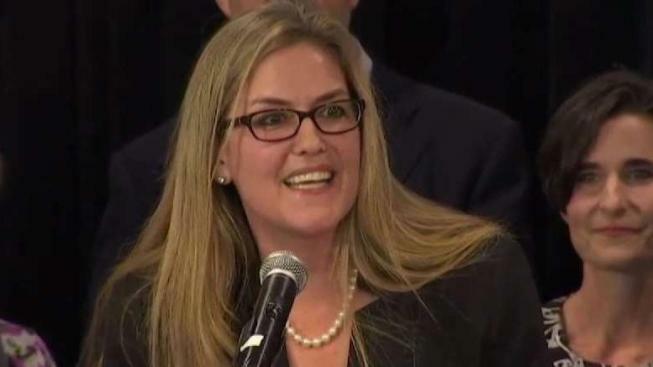 Wexton labeled her "Trumpstock" in political ads, though Comstock tried hard to emphasize her independence from President Donald Trump. She distanced herself from the president on some key issues like health care — she voted against the American Health Care Act, which would have repealed "Obamacare" — and imposing sanctions on Russia. At a televised roundtable with Trump in February, she told Trump a government shutdown was a bad idea for her constituents, some of whom work for the federal government. But she voted in line with Trump's agenda 97.8 percent of the time, putting her among the most consistently pro-Trump members of Congress, according to a tally kept by news outlet FiveThirtyEight. Trump suggested Wednesday her attempt to distance herself from him cost her the race. "I mean, I think she could’ve won that race, but she didn’t want to have any embrace," he said. "For that, I don’t blame her. But she lost, substantially lost." Female voters were key to this race. 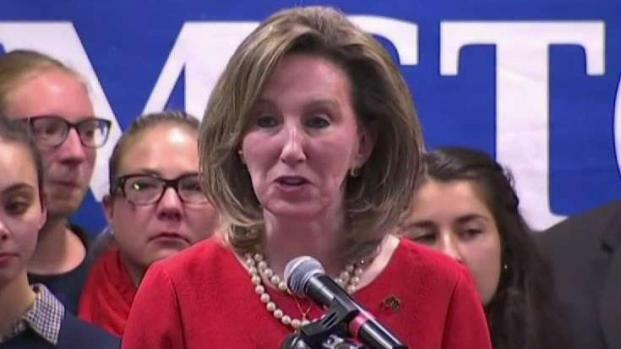 Comstock underscored her role in the national spotlight as a leader on the issue of sexual harassment on Capitol Hill. Wexton, a former Loudoun County prosecutor, emphasized her support that helped get Medicaid expansion passed in Virginia. Loudoun and Fairfax counties delivered the win for Wexton. 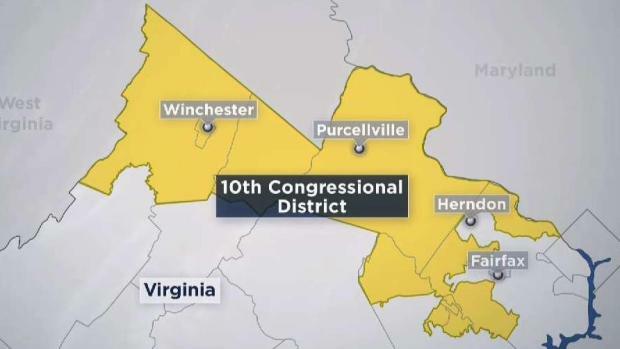 Virginia's 10th Congressional District seat had been held by Republican for about four decades. Northern Virginia Bureau Reporter David Culver was at Rep. Barbara Comstock's headquarters for her concession speech. This seat has been held by a Republican for 60 of the past 66 years, but Hillary Clinton won the district by 10 percentage points, and Democratic Gov. Ralph Northam won by 11. Just two years ago, Taylor won by a margin of almost 23 percentage points in the traditionally Republican district that spans Virginia's entire coast and includes Virginia Beach and Williamsburg. The former Navy SEAL supported the Republican tax law and a Republican attempt in 2017 to repeal the Affordable Care Act, two positions Luria repeatedly criticized. She has also promised to help calm the "chaos" in President Trump's Washington. Newcomer Abigail Spanberger has 50 percent of the vote to 49 percent for two-term Republican U.S. Rep. Dave Brat. "We succeeded at the polls tonight because voters rejected the politics of hate, the politics of division and the politics of ideology," said Spanberger, a former CIA officer. Republicans have held this seat in the Richmond-area since 1971. Brat touted the strong economy and tax cuts under Trump and portrayed Spanberger as a radical liberal and often compared her to House Minority Leader Nancy Pelosi. Brat was a tea party favorite who scored a huge upset four years ago when he defeated then-U.S. House Majority Leader Eric Cantor. Spanberger cast herself as a moderate during the race and slammed Brat for being out of touch with voters in the district. Spanberger benefitted from a strong performance in their only debate. 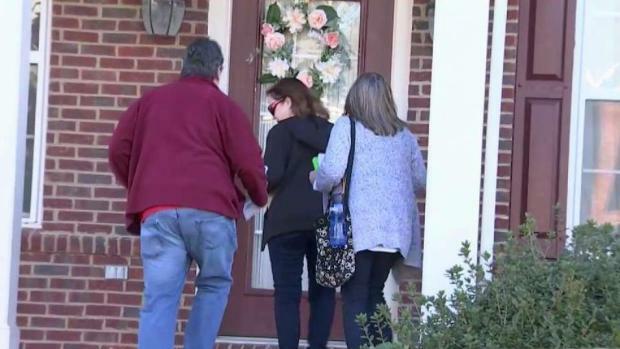 The Republicans held on to this district, which stretches from Northern Virginia hunt country through Charlottesville down to southside Virginia and the North Carolina line. The seat is currently held by first-term Republican U.S. Rep. Tom Garrett, who ended his re-election bid in May after announcing he planned to seek treatment for alcoholism. Distillery owner and Air Force veteran Denver Riggleman, a Republican, defeated Democrat Leslie Cockburn, a former investigative journalist and producer for “60 Minutes,” in a district Trump won by 11 percentage points. Riggleman, in a phone interview with the Associated Press, acknowledged he was surprised by his comfortable margin of victory. He said he thinks he was able to connect with voters in the district by speaking plainly and directly with them. "I'm a conservative ... but I don't think we have to be so polarized to get things done," he said. Incumbent U.S. Rep. Rob Wittman defeated Vangie Williams, the only African-American challenger to an incumbent Republican Congress member in Virginia this year. Incumbent Democrat U.S. Rep. Don Beyer retained his seat. He ran against Republican Thomas Oh, who served overseas in the U.S. Army and serves as a captain in the Army Reserves. Oh works in project management. Incumbent Democrat U.S. Rep. Gerry Connolly also retained his seat. He was challenged by Republican Jeff Dove, who served in the U.S. Army in Operation Iraqi Freedom.